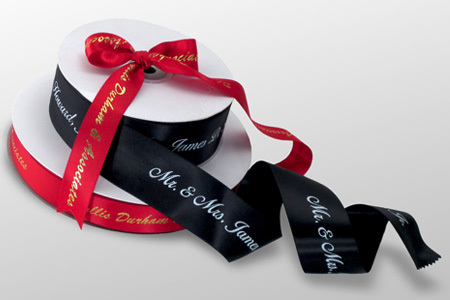 Ribbons with your custom logo or text printed along the entire length of the ribbon are great for weddings, to compliment floral arrangements, for gift wrapping and as decorations for many other events. 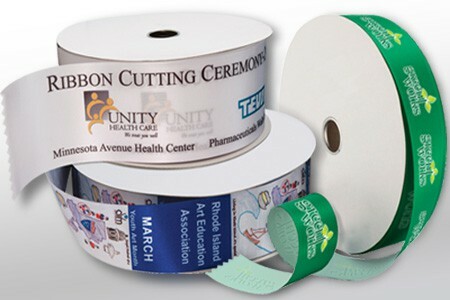 Customize any of these rolls of ribbon by adding text or logo. 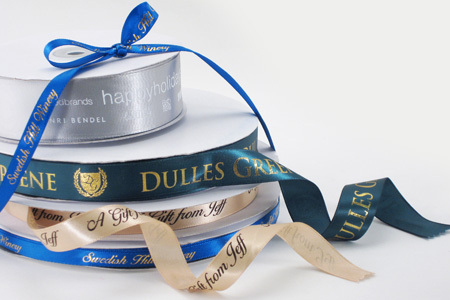 Your message will be printed along the entire length of the ribbon. 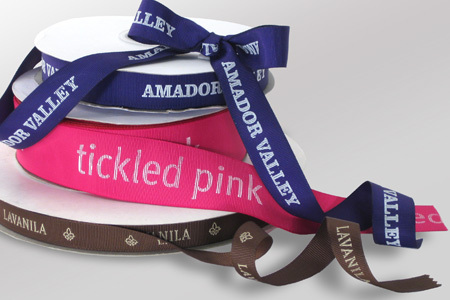 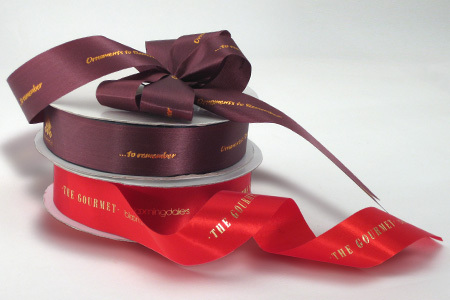 Choose from a wide variety of ribbon widths and imprint colors. 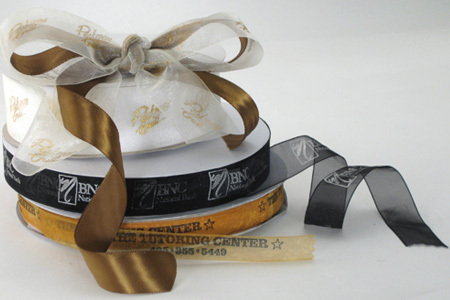 You may also specify the distance between each imprint. 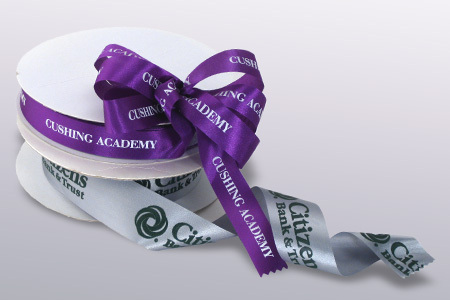 Translucent and light weight, organza (chiffon) ribbon rolls are a classic way to add special flair to your gift wrapping.